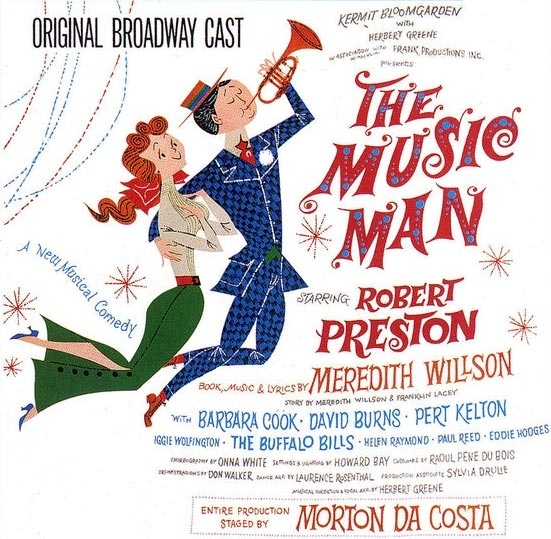 We got no trouble here just pure unadulterated love for Meredith Willson’s one-hit-wonder “The Music Man!” We bask in the brilliance of the book, music and lyrics of this show, discuss the disparity between Broadway and West End successes and weigh up historical accuracy versus inclusivity. Tommy is a master of mockery, go check out his pastiche of “Ya Got Trouble” and the 2003 Disney televised movie. Does anyone have this elusive Meredith Willson interview record? Let us know! Any excuse to post a vid of the queen herself, Patti LuPone singing “Ya Got Trouble” on SiriusXM. Surprise! Tommy is representin’ at BroadwayCon in NYC this weekend. Who’s all going? Come say hi! Bob Dylan became aroused straightaway by the raw intensity of the songs in this musical. What musical was it?